Quasi-Newton algorithms for unconstrained nonlinear minimization generate a sequence of matrices that can be considered as approximations of the objective function second derivatives. 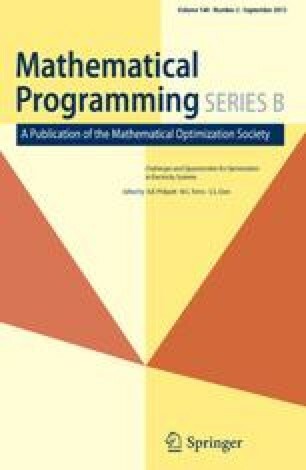 This paper gives conditions under which these approximations can be proved to converge globally to the true Hessian matrix, in the case where the Symmetric Rank One update formula is used. The rate of convergence is also examined and proven to be improving with the rate of convergence of the underlying iterates. The theory is confirmed by some numerical experiments that also show the convergence of the Hessian approximations to be substantially slower for other known quasi-Newton formulae. The work of this author was supported by the National Sciences and Engineering Research Council of Canada, and by the Information Technology Research Centre, which is funded by the Province of Ontario.